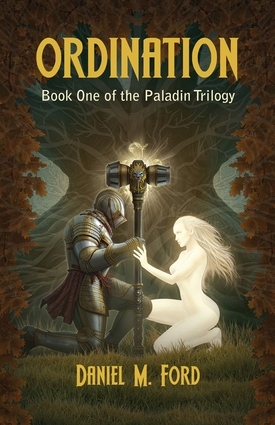 A Country Shattered by War -- For generations, warlords fought bitterly for dominance in a land without a king, leaving a fractured, war-torn country plagued by thieves, slavers, and the servants of dark gods and darker magic… A Fallen Knight -- Allystaire Coldbourne, former castellan of Wind's Jaw Keep, walks away from his privileged position and into self-imposed exile amidst the ruins he's spent a lifetime creating. In the smoking remains of a destitute village, he finds an improbable survivor, a young girl named Mol. Reluctantly, he pursues the marauders who leveled Mol's village and sold the villagers into slavery. He follows their trail to a town of pirates and fugitives and exacts a bitter and violent justice. This sudden act of bravery and righteousness draws the attention of jealous and angry gods, embittered warlords, a downtrodden populace, and awakens a very ancient power, a long-absent goddess of mercy. A Legendary Journey -- Allystaire travels a treacherous path toward his Ordination as a holy knight of legend, a Paladin, a savior of the people. But to fulfill this role, he -- and the unexpected allies he finds along the way -- must face the demonic, sorcerous evil that stalks the land, the wrath of gods and men, and his own dark past.